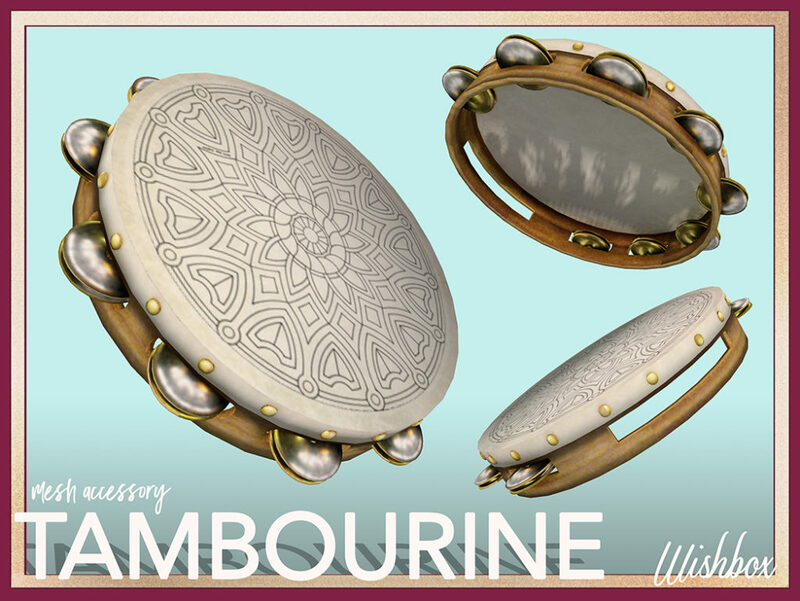 This is a simple but lovely mesh tambourine accessory with a pretty bohemian design on the top. Modeled using Blender’s software and textured in Photoshop. It can attach to the right hand as an accessory or anywhere else you might like it.